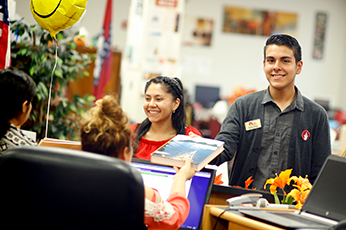 UA Cossatot is proud to offer educational opportunities for community members and students at all stages of life. From continuing your education as an adult to gaining the skills needed to obtain licensure or certification, you can be sure that there is a flexible option to help you succeed. UAC is also happy to feature two, reservable event venue locations that can accommodate a variety of community functions throughout the year. The Adult Education Department at Cossatot Community College is committed to providing all students with an opportunity to reach their educational goals and instilling in each student a dedication of "Learning for Life" – no matter what age they might begin their college career. The UA Cossatot Continuing Education Services Department is committed to providing the highest quality education available to help you reach your full potential. 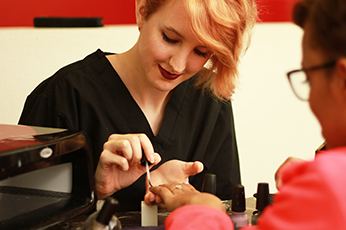 Whether you are just getting started in the workplace, enhancing your current career, working to meet licensure/certification requirements, or if you just want to discover a new hobby – UA Cossatot is here to help. The Workforce Development team works with companies and their employees to become more competitive through quality, cost-effective training. Like the clients we serve, our training events are customer-driven. We do not operate on a college schedule – we operate on the client's schedule, providing customized services relevant to the client's specific needs. In addition to specialized business and industry training, our service coordinators also offer help with employee and pre-employment assessments, career readiness verification, job placement and job profiling services. Cossatot Community College of the University of Arkansas has partnered with the National Apprenticeship Training Foundation (NATF), to provide training facilities at its Lockesburg location, to enhance access to electrician apprenticeship opportunities in Southwest Arkansas. UA Cossatot features an outdoor amphitheater in De Queen for profit and non-profit use. The amphitheater's open-air seating can accommodate approximately 3,000 people. The Barbara Horn Civic Center is located on Ashdown campus of UA Cossatot. The event venue is climate controlled and, when fully opened, can accommodate 350-400 people. A kitchen is also available for use.